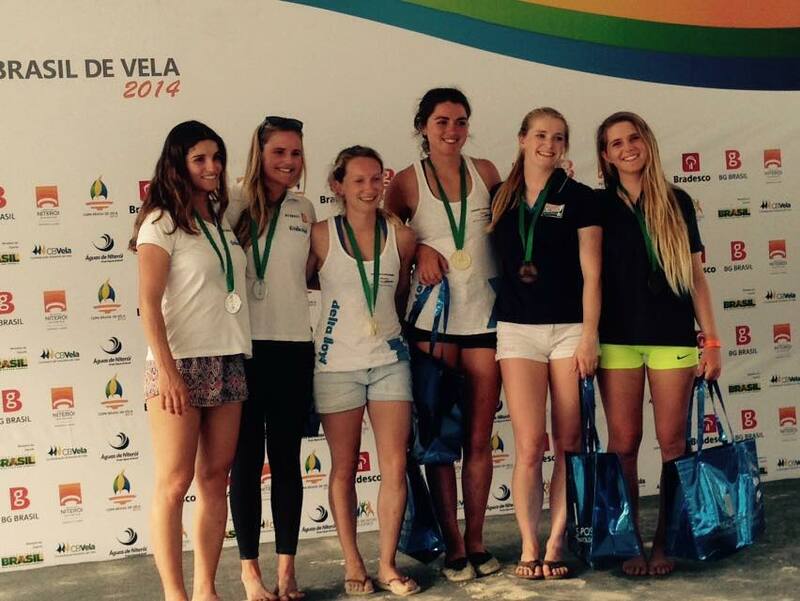 Bronze Medal in Rio de Janeiro! Our first event since the World Championships, and our first event as full-time athletes, couldn’t have gone much better for us. 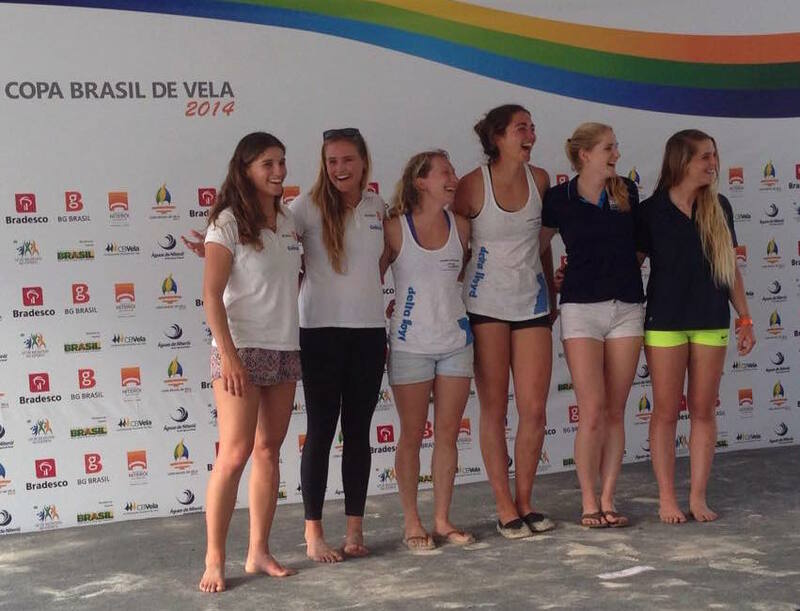 We earned a bronze medal (partial results here) at Copa Brasil de Vela (Brazil Sailing Cup) against teams that finished 1st, 3rd, 4th, 5th, and 22nd at the Worlds this fall – yup, 4 of the top 5 teams in the world were there, and we beat two of them. So while the event may have been small in size, it was big in terms of competition and learning potential! We both finished our final exams for the fall term and got straight on the plane – Helena had an exam from 7-10 pm and was taking off by 6:45 am the next morning! As fast as the turnaround was, it was even more exciting, because not only were we leaving university behind, we were also bound for Rio de Janeiro, the host of the 2016 Olympics. Paris just finished her first semester at the College of Charleston and Helena put another quarter towards her Master’s (Mechanical Engineering) at Stanford under her belt. But for the next 18 months, school is behind us and we are fully focused on sailing! We had two days of training before the five-day event started. Since we had hardly any time in the boat since the Worlds in September, we had some rust to shake off, but with Ramon’s coaching and methodical choice of practice drills, we shook it right off and felt ready for the event in no time. 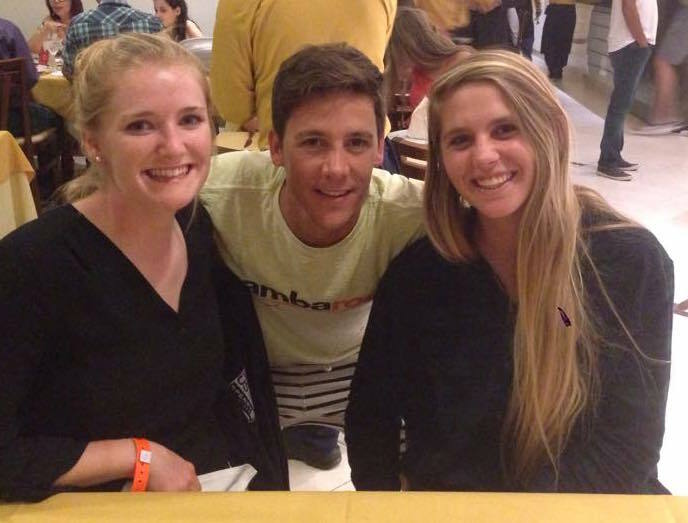 Ramon Oliden coached us and the rest of the US skiff team at the European Championships this summer in Helsinki. 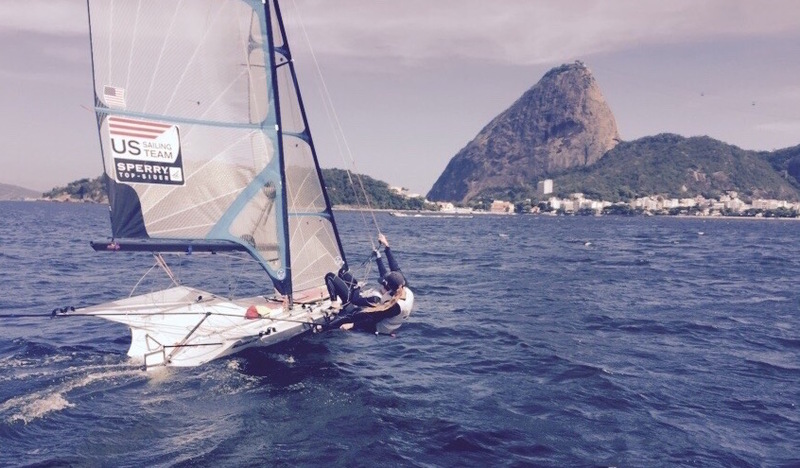 Ramon, who is Argentinian, coached an Argentinean Tornado team and a Spanish 49er team to Olympic medals. We are learning so much from him about boat setup, boat handling, and tactics. Plus we all laugh a lot together, which can only be a good thing, given the length and mental endurance necessary to train and sail hard far from home. The regatta was fortunate enough to coincide with four days of beautiful summer sea breeze. We sailed three races per day. 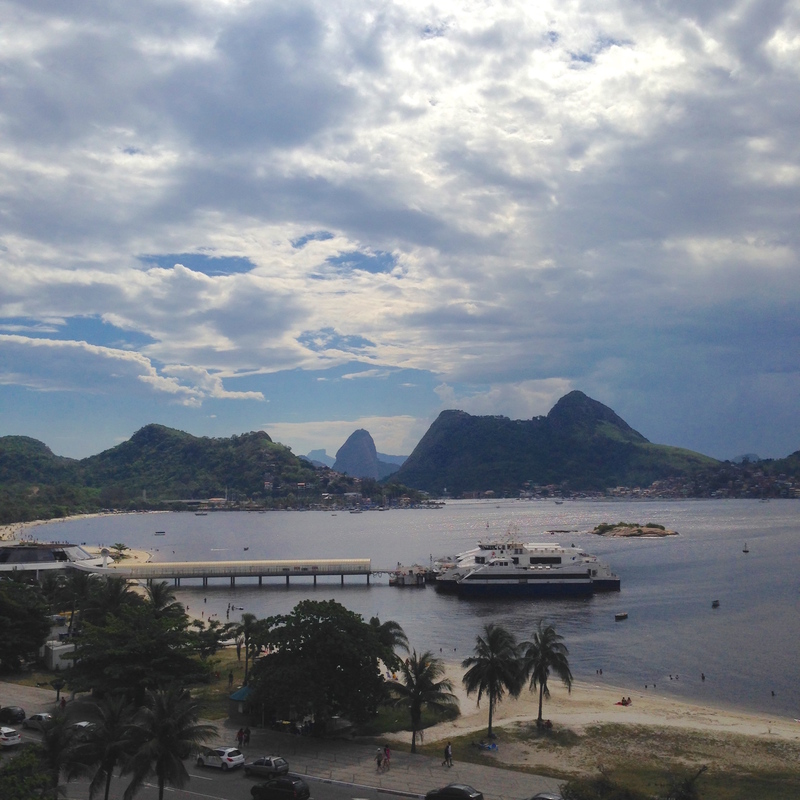 For the first two days we raced on the “Bridge” course, then we had a day on the “Sugarloaf” course, and next one more day by the bridge before the medal race day on which we raced in the smaller bay of Niteroi. If there’s one thing we learned about Brazilian summers, it’s that they are HOT, so we enjoyed spending our afternoons off shore. The third day of racing was the hardest for us (it was a bit lighter and shiftier than the other days), but we learned a lot about tactics from it (and from Ramon). But on the fourth day in big breeze we had a high and fast mode good enough to move into 3rd overall, even despite a capsize due to running over a large black trash bag. We finished 4th in the medal race, directly behind the team in 4th place overall, but fortunately we had built ourselves enough of a cushion to remain in 3rd overall. Congratulations to the event winners, Annemiek and Annette from the Netherlands (4th at Worlds), and Martine and Kahena from Brazil (World Champions), we enjoyed racing you! The US Sailing Team Sperry Top-Sider’s support made this event possible for us. Thanks to awesome sponsors Harken, McLube, and Sperry Top-Sider for the equipment and gear that keeps us fast. 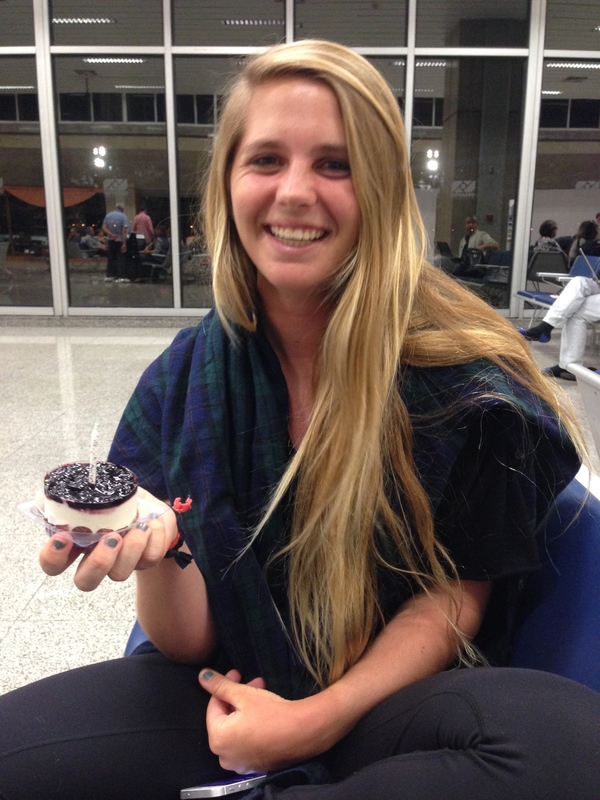 Paris turned 19 on the way back from Rio – Happy Birthday!!! Now we will take a short break from sailing for the holidays, but we’ll be working hard planning training and travel logistics and fundraising for 2015. On Jan 1 we’ll be back on a plane to Miami to start our five-week Florida training and racing period. 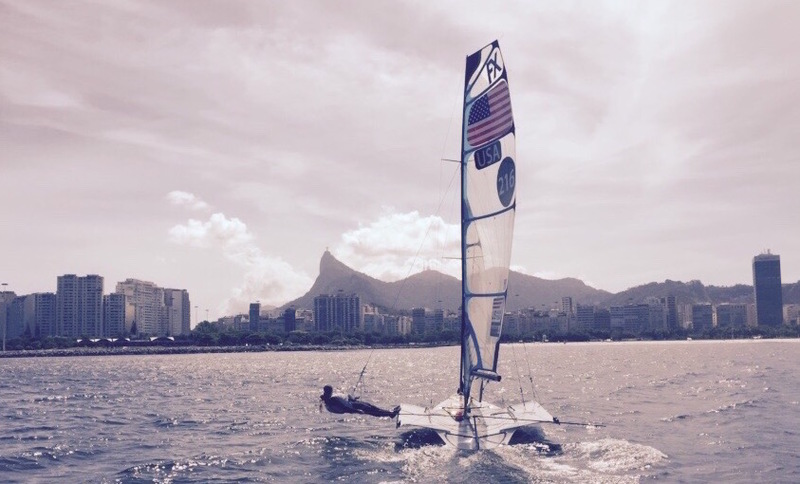 We’ll be in Miami all of January, racing in the Midwinters (Jan 17-19) and then Sailing World Cup Miami (Jan 26-31). Then we’ll drive across the state to Clearwater to wrap up the Florida session with the North American Championship (Feb 5-8). 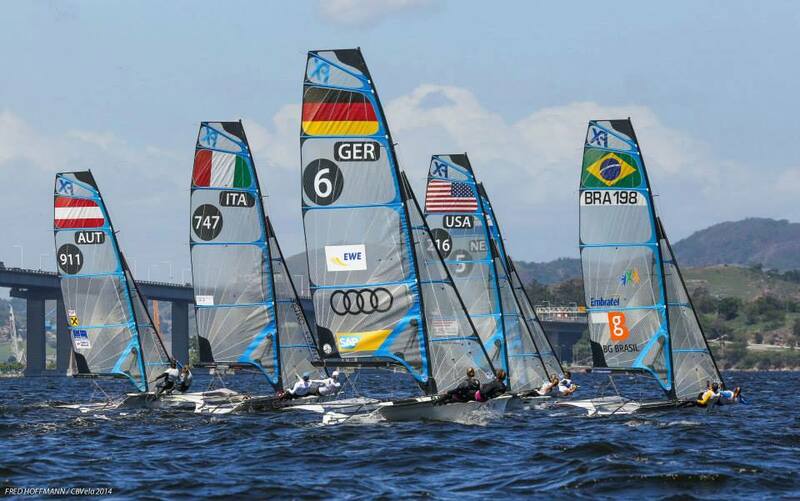 Clearwater will host the 2016 World Championship (Feb 7-14, 2016) which is one of our two regattas that count towards qualification as the USA representatives at the Olympics. We’ve hit the ground running as far as our performance in Rio – but we need your support in order to continue training and racing at this level. Please consider making a tax-deductible donation to our campaign via the Sailing Foundation of New York. You can also make an immediate (non-tax-deductible) donation via PayPal. Every amount helps and we know how to use our resources most effectively. Thank you so much – we are working so hard and we know we will make you proud. Subscribe to our website >>> henkenscuttsailing.com >>> enter your email in the box on the right-hand side of the site.